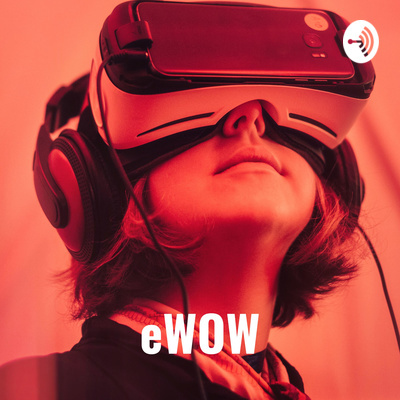 This podcast from eWOW - empowered Women of the World is for women all around the world who want to discover, visualize, and actualize their success. We will talk about cool stuff in this podcast - technology, leadership, mindfulness, career, success, and happiness. At the end of the podcast, you will get a tip or a free resource that you can use to be successful. Four tips how to ace an interview and registration link to eWOW Virtual Summit. It's Virtual, It's Global, It's Free. Register today! Interested in being an eWOW Ambassador? email us at empoweredWOW@gmail.com . Support this podcast: anchor.fm/rashim-mogha/support . Six tips how to negotiate your salary and registration link to eWOW Virtual Summit. It's Virtual, It's Global, It's Free. Support this podcast: anchor.fm/rashim-mogha/support . Four tips to build resilience to cope with personal and professional distress and link to "Building Resilience". Enjoy, Share, Like, and Empower! #sharingiscaring . Support this podcast: anchor.fm/rashim-mogha/support . Part 2 of Four steps to design your life for happiness using design thinking principals and link to "Fast-Track Your Leadership Career". Enjoy, Share, Like, and Empower. Support this podcast: anchor.fm/rashim-mogha/support . Demystifying Cloud Computing: Private, Public, and Hybrid cloud, some common myths associated with cloud computing and link to "I built it in the Cloud" videos: https://cloud.oracle.com/iaas/training/built-in-the-cloud . Enjoy, Share, Like, and Empower. Support this podcast: anchor.fm/rashim-mogha/support . Demystifying Cloud Computing and its three layers (IaaS, PaaS, and SaaS) and link to Oracle Cloud Infrastructure service videos: https://cloud.oracle.com/iaas/training/service-intro . Enjoy, Share, Like, and Empower. Support this podcast: anchor.fm/rashim-mogha/support . How to say no and put yourself first and a free giveaway. Link to Holiday Kindness: https://bit.ly/2OTRCzF. Enable and Play it on you phone daily for suggestions on random act of kindness to self and others . Enjoy, Share, Like, and Empower. Support this podcast: anchor.fm/rashim-mogha/support. How to express gratitude and a free giveaway. Link to Gratitude Affirmations: https://bit.ly/2OTRCzF. Enable and Play it on you phone daily for success mindset. Enjoy, Share, Like, and Empower. Support this podcast: anchor.fm/rashim-mogha/support. How to navigate work politics and a free giveaway. Link to Detox Affirmations: https://rashimmogha.com/2018/10/23/detox-affirmations-healing-your-mind-body-and-soul/ . Enable and Play it on you phone daily for success mindset. Enjoy, Share, Like, and Empower. Support this podcast: anchor.fm/rashim-mogha/support. An Introduction to eWOW, how to build executive presence, and a free giveaway. Link to Leadership Affirmations. 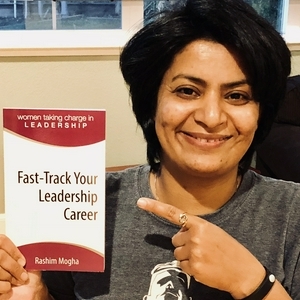 https://rashimmogha.com/2018/10/17/giving-back-leadership-affirmations-alexa-skill/ . Play it on you phone daily for success mindset. Enjoy, Share, Like, and Empower. Support this podcast: anchor.fm/rashim-mogha/support.